Using popular games as a metaphor for our temporal lives, this 6-session DVD study with leader's guide neatly sorts out what's fleeting and what's permanent in God's kingdom. Winning the game of life on earth is a temporary victory; loving God and other people with all our hearts is an eternal one. 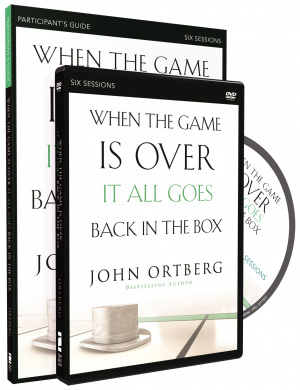 When the Game is Over, it All Goes Back in the Box DVD by John Ortberg was published by Zondervan in June 2015 and is our 13792nd best seller. The ISBN for When the Game is Over, it All Goes Back in the Box DVD is 9780310810186. Be the first to review When the Game is Over, it All Goes Back in the Box DVD! Got a question? No problem! Just click here to ask us about When the Game is Over, it All Goes Back in the Box DVD. I wanted to get 'When the Game is Over, it All Goes Back in the Box', I read a review which stated that it was a shame there was no work book to go with the book as there was for other titles by this author. But when searching it appears there is a work book or cd I am not sure?, am I correct and if so what is the full title and is it in book format? Thanks for your help. 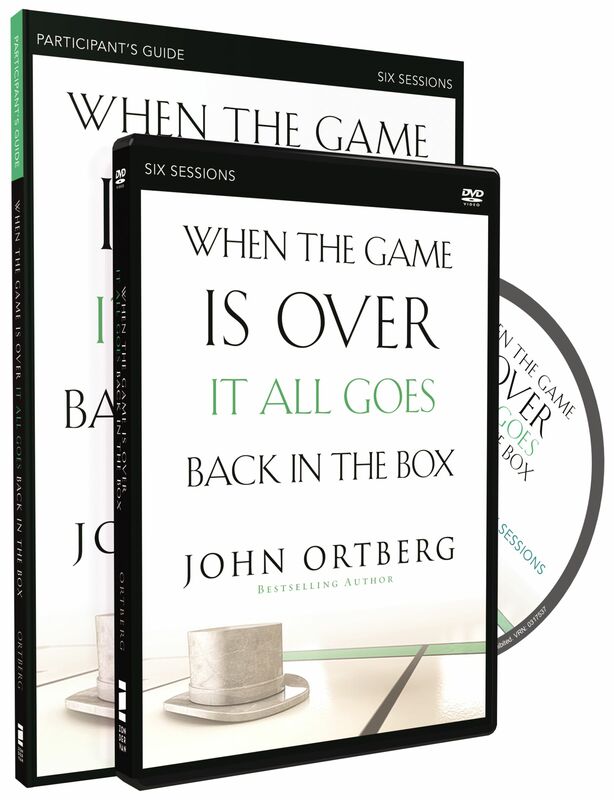 A:There are several items available relating to this 'When the Game is Over, it All Goes Back in the Box' Course; there is no audio CD, but we do sell the six-session DVD (9780310282471). This is primarily designed to be administered by the course leader, with each participant using the workbook (9780310282464), which we also sell. Also available is the 'basic' book for personal use (9780310325055). Is the When the Game is Over, it All Goes Back in the Box DVD Region 2 (Europe) or Region 1 (USA)? A:The When the ame is Over, it All oes Back in the Box DVD is coded as Region 0 so will work in any region DVD player.